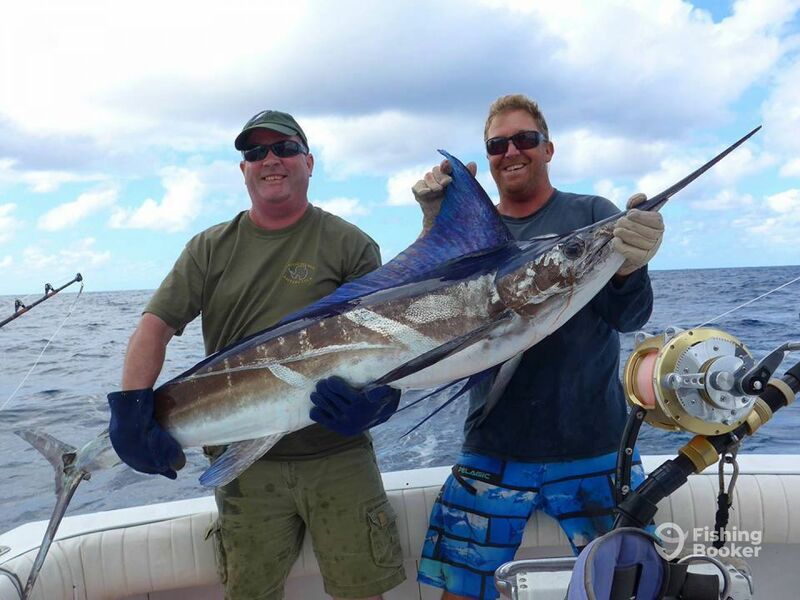 Now is the time to achieve your fishing dreams. 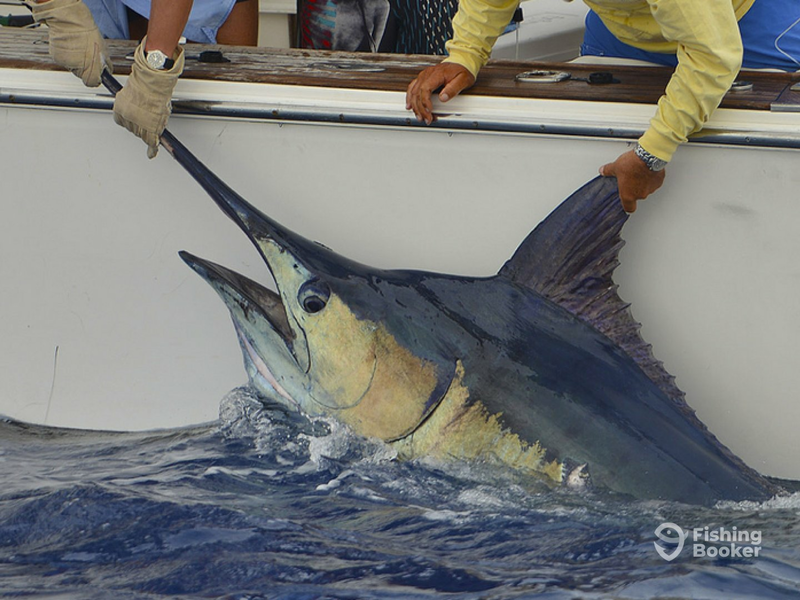 Join Brasilia Fishing Charters to target huge Blue Marlin that will give you the fight of your life. There is nothing more rewarding than successfully reeling these bad boys in! The day will be spent either with Captain Louis Sougné or Captain Matthias Henningsen. Capt. 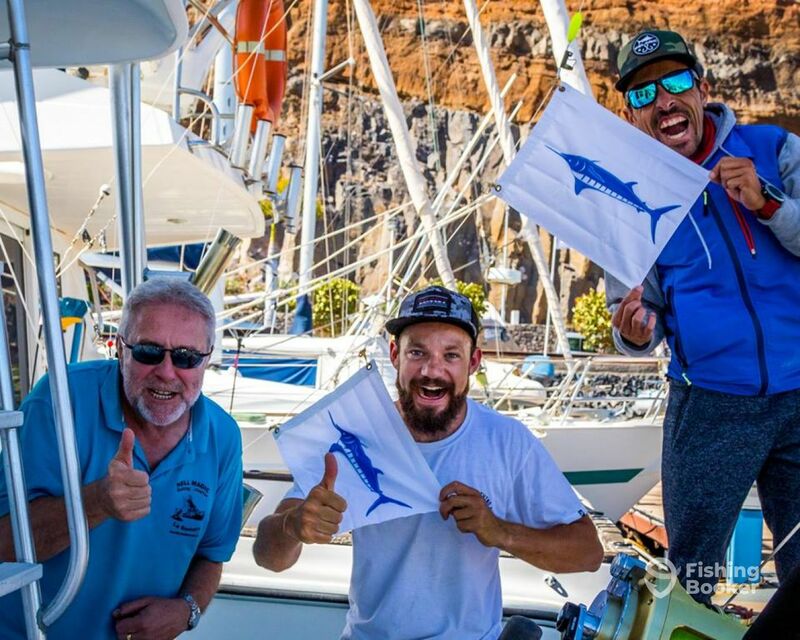 Louis is from Belgium, the owner of this company, with a huge passion for Marlin fishing. Capt. 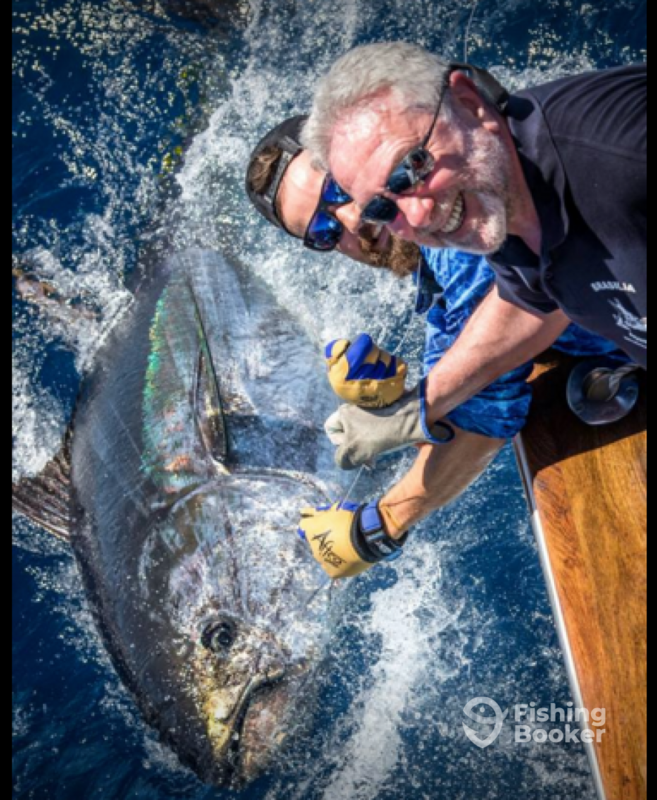 Matthias grew up in Germany and has fished in Cape Verde, Ascension, and the Grand Canaria to name a few. 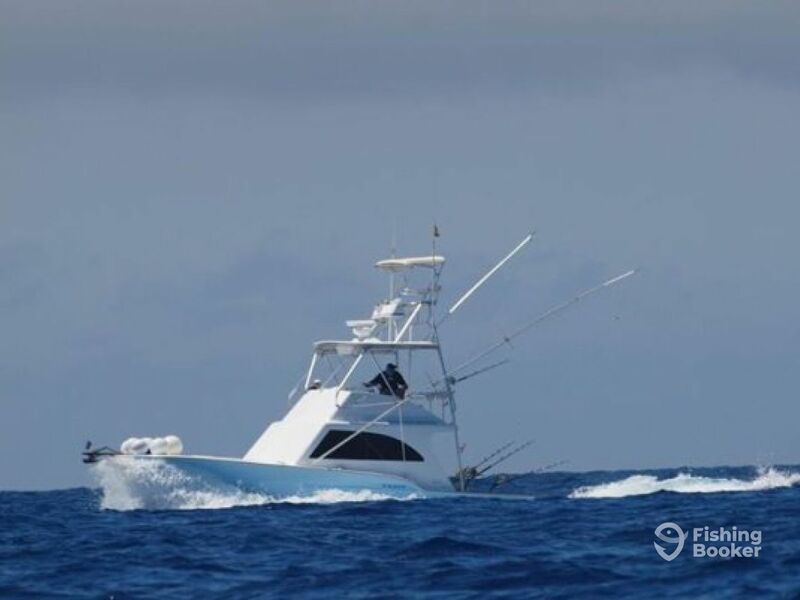 Step on board “Nell Magic”, a 36’ Hatteras, which can have 6 anglers fish on her. 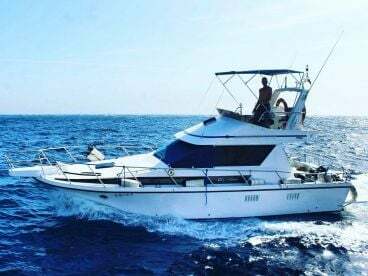 This luxurious vessel has air-conditioning, restroom, and multimedia system for the drive out to the fishing grounds. Once there, the crew, fighting chair, outriggers, and live bait tank will all make your experience even better! 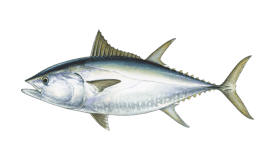 You will be targeting Bluefin Tuna from March to April. 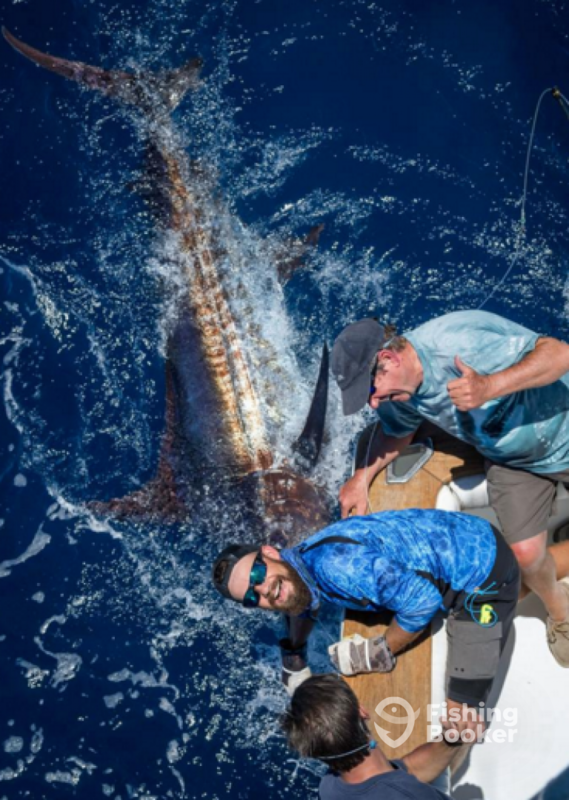 From May to September the Blue Marlin action really heats up. 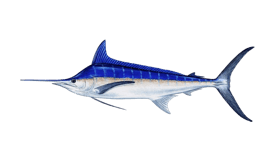 You’ll also be able to target White Marlin, Yellowfin Tuna, and Wahoo. 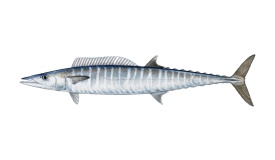 These deep sea species will give you a great fight on the line and test your skills. Everything you’ll need on this trip is included. You’ll use top quality rods and reels, which have proven their worth! 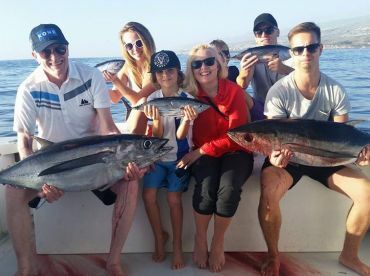 All of the tackle and live bait is included in this trip, as well as your fishing license for the day. Food and drink will also be provided. You just need to bring along polarized sunglasses, sunscreen, and plenty of enthusiasm! Book now and start making unforgettable memories today. 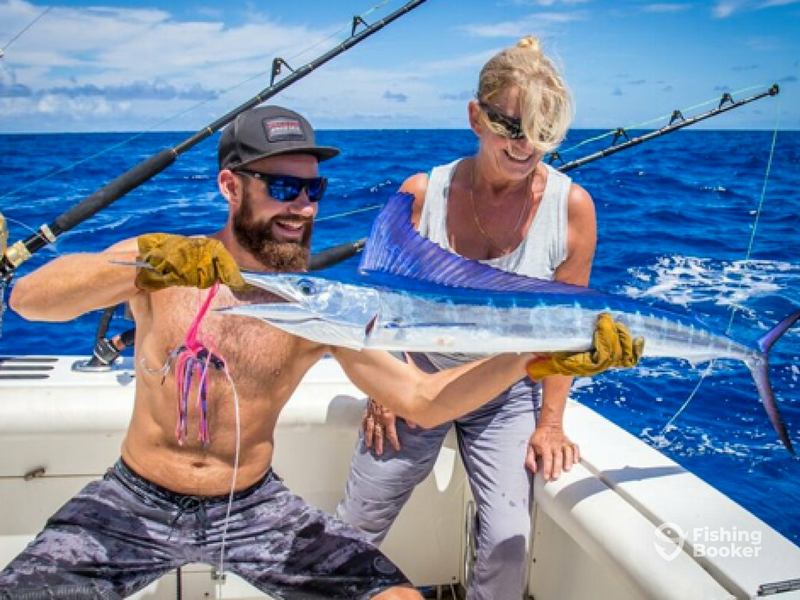 You’ll be the envy of all your friends, especially if you join the 500+ club, like many of Brasilia Fishing Charters previous customers! Could you be next? 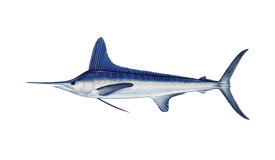 You'll spend the day targeting Blue and White Marlin, as well as Bluefin and Yellowfin Tuna. An incredible all-inclusive day awaits! 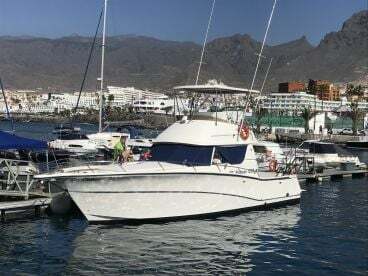 All of the fishing equipment and tackle is provided, as well as refreshments throughout the day. Your fishing license is also covered in the price. 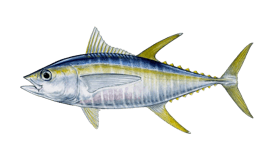 For best results, book February to April for Bluefin Tuna, and May to September for Blue Marlin. For the rest of the year, you'll be doing coastal fishing. 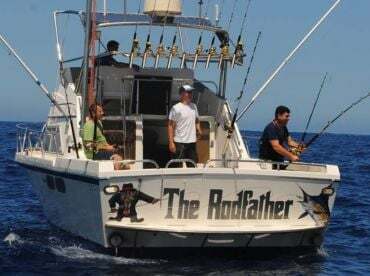 Hatteras (Saltwater fishing) построена в 1990. Мотор – 2 400 л.с. Cummins.